Our value proposition is straightforward. We deliver reliable, high speed Internet services and unparalleled support to your guests. 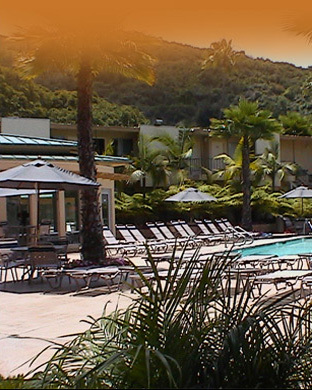 Our objective is your guests’ total satisfaction. To achieve this level of service Last Mile Research begins engagements by first listening to the stakeholders of your property’s Internet solution: site management, front desk personnel, engineering, sales and conference management, housekeeping, and even guests. After evaluating a property’s internet infrastructure we conduct a site audit and engineering study. Our approach entails providing short and long-term options for systems and support services. Once we agree upon the scope of a project, we’ll work with your team to prepare a technology migration and operations plan that details each step of the technology transition. Finally, timelines and budgets are determined to meet each of your goals. Scheduling a team to install an HSIA system is always prompt and at your convenience. 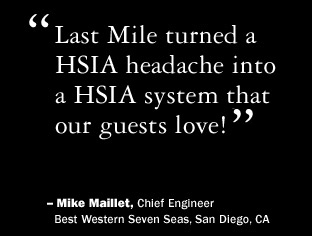 You will never worry about your HSIA system again.